Order Follow up Email extension for magento allows you to send an auto-response email to the customer, which helps store owners enhance user interaction effectively. 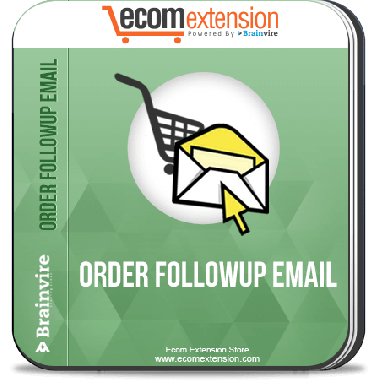 Order Follow up Email Extensions for Magento allow you to automatically send follow up emails to the customers after # number of hours. This Order Follow up Emails boosts the sales records by allowing the customers to buy your right product. 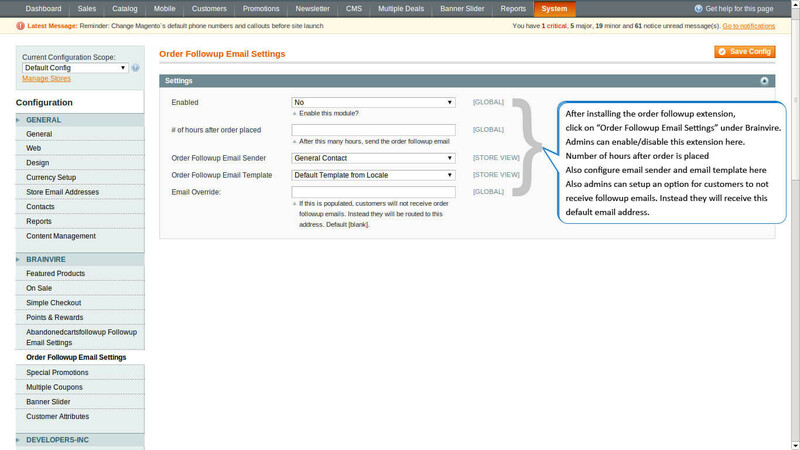 The Follow up Email Extension for Magento is an effective tool to stay in touch with your customers. It offers you irresistible benefits and powerful features. Send the followup mail to customer once its order status has been completed. Can set hours to send order follow up mail on given interval. Send customer new product mail after placing order or schedule it as per requirement. Send Wishlist to customer by mail once in a week. It helps you build customer loyalty as well as improve relationship with customers. No matter whether the customer is using the shopping cart or not, you will stay in touch with your customer by using our Order Follow up Email Extension for Magneto. This will help you to gain a winning edge over your customer by making their experience more delightful.